Astitva - Search for an Identity: China - An Economy in Decline? China - An Economy in Decline? From Deng era onward China enjoyed high growth rates. Many predicted an end of that phenomenon for long. However, China didn't fit into their equations. Now it looks like the economy is finally slowing down. Its fine, after all no country can clock a growth rate of above 7% infinitely. For 25 years ended in 2015 China's growth rate was 7% or above. As the economy becomes bigger, maintaining high growth rates year after year is a challenge for any country. Current concern has more to do with rapidly depleting forex reserves, real estate bubble and huge unrecoverable debts in Chinese bank's balance sheets. In addition to that, most of provincial government's budget doesn't looks good. For a long time China allegedly manipulated the currency to make her export highly competitive. However, now she is struggling to keep her currency depreciations within range. Market interventions for this already proved very costly to China's forex reserves. China could have let her currency gain value in boom years when huge amount of money (dollar, euro, yen) in the form of payment for manufacturing goods and capital investments flowed in to the country. But they didn’t do that. Instead government bought all those and built a mammoth trophy for the world to see - close to $4tn forex reserve. Was such a big forex reserve was required? Well, it's another question for another day. In last December Chinese reserves fell by $108bn; in January the number was $99.5bn. From mid-2014 reserves fell from a magic number of $4tn to $3.23tn. As a matter of fact, IMF model suggests that an "economy of China’s size needs $1.5 trillion with strict capital controls and $2.7 trillion without them". That means China is very well safe. The questions are, will China stop intervening in market and let the yuan fall? How far they will take the money out of reserves to keep Yuan stable? Will China impose capital controls? As per Bloomberg report, "Capital outflows increased to $158.7 billion in December, the most since September and were $1 trillion last year, according to estimates from Bloomberg Intelligence. That’s more than seven times the amount of cash that left in 2014". By the way China still have the biggest currency reserves in the world. Chinese are not sitting idle. 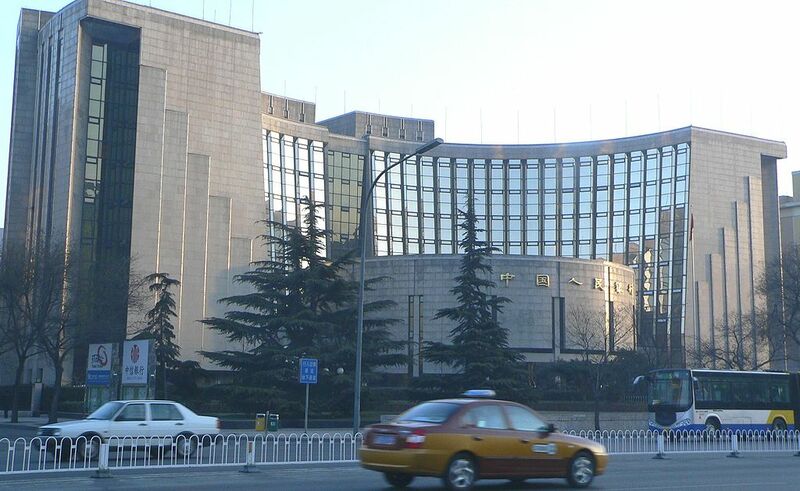 In addition to the use of reserves, As per NYT reports, "They also made it harder for Chinese citizens to use their renminbi to buy insurance policies in dollars… Beijing bank regulators have halted sales within China of investment funds known as wealth management products that are denominated in dollars… also instructed bank branches in Hong Kong to limit their lending of renminbi to make it harder for traders and investors to place bets against the Chinese currency in financial markets". Chinese leadership may be in a fix now. They can't let the currency depreciate too much, as it will it will accelerate the demand for dollar and downward journey of yuan. At the same time, they can't tap in to forex reserves too much because Chinese leadership were using huge forex reserves as a trophy of their success. Hence, it may not look good on current leadership if the reserves contracted too much. Imposing strict capital controls may reduce the amount of dollar inflow as foreign fund managers may not be so interested in an economy from which they can't pull back the money. In addition to that Chinese funds and companies may also try to take money out of China, if strict capital controls were imposed. Well, one immediate causality may be the reduction on China's huge investments in non-critical infrastructure projects. They may not construct so many costly highways which have more to do with building an impressive image abroad than economic viability. Will the highway planned to pass through highly contested Pak Occupied Kashmir and finally to reach sea (after passing through highly terrorist active areas) be in the causality list? Let's wait and watch. "If I Had My Life to Live Over"